In a meeting with Russia’s ambassadors and permanent representatives on July 19, President Vladimir Putin said that “the principles of competition and openness in global trade are increasingly being replaced by protectionism, while economic gain and expediency are being swapped for partisan agendas and political pressure. Economic ties and entrepreneurial freedom are being politicized.” He feels that Russia must counter this trend. There is ample evidence to prove his point. There is a large group of US lawmakers chomping at the bit to support anything that would bring Europe to heel and hurt Russia. Their target is the Nord Stream 2 gas project that has a pipeline running under the Baltic Sea from Russia to Germany with an annual capacity of 55 billion cubic meters. That joint venture between Russian energy giant Gazprom and the French company Engie, Austria’s OMV AG, the British-Danish Royal Dutch Shell, and Germany's Uniper and Wintershall is expected to be operational by the end of 2019. The US president has the authority to impose sanctions on the project under the CAATSA sanctions law, but there is a risk that he will not. And so some US lawmakers believe that should be rectified by making those punitive measures mandatory. In short, the legislation is intended to provide Europeans with guidance on what to do, as they clearly lack the ability to understand what’s good for them without the benefit of highly valuable advice from overseas. They just fail to see the need to “diversify their energy supplies and routes in order to enhance their energy security,” as that insidious “Russian President Vladimir Putin uses his country's natural gas to ‘extort and threaten’ US allies.” Gullible enough to be easily manipulated, Europeans are too short-sighted to realize they are being “threatened.” America’s Republican senators know better. Take Germany for instance. It receives between 50-75% of its gas supplies from Russia. US President Donald Trump lambasted Berlin at the July NATO summit for its reliance on Russian oil and gas supplies, which are "inappropriate" and make Berlin "captive" to Moscow. This can’t go on and their American friend is determined to put an end to it and shore up the president’s tough stance with legislation. Gas makes up only around 20% of Germany’s total energy mix, but the Americans are happy to ignore that inconvenient fact. Mr. Barrasso wasted no time launching an effort to save his friends from falling into the trap laid by those wily Russians who dare to offer the stable, cheap energy that Europe needs so badly to boost its economic performance. The best way to do it is to punish the EU (for its own good), by authorizing mandatory sanctions on the Nord Stream 2 gas project, while promoting America’s liquefied natural gas (LNG) exports. The legislation includes a number of requirements that force the administration to exert pressure on the Europeans. “Lending a helping hand” to those who aren’t asking for it is a way to strong-arm them into compliance. The US policy obviously runs counter to the interests of the EU, which does not need the US LNG at all, as its members are linked via pipeline to Russia, Norway, and Algeria. That’s cheaper and much more reliable. Europe is far from being fully dependent on Nord Stream. It has competitive options, but Europe’s demand for gas is growing, which emphasizes the importance of lower prices. The Russian gas delivered under the sea can offset the declining production in the UK, Netherlands, and Denmark. It should be noted that Nord Stream 1 was already being utilized at full capacity in 2018. 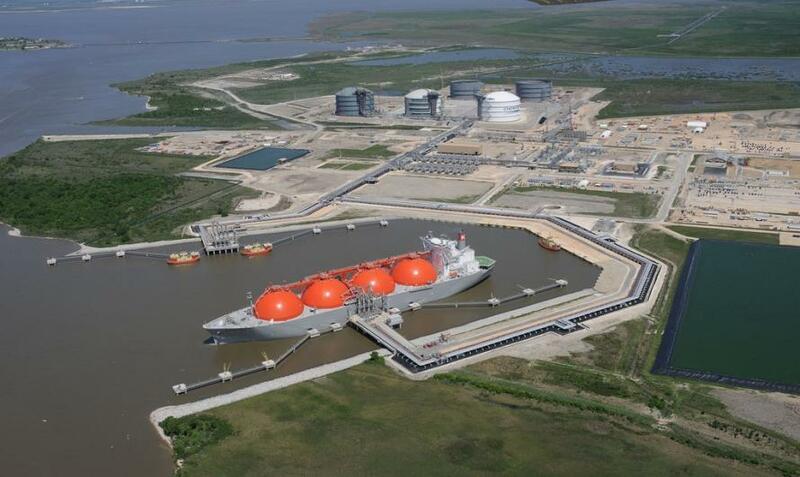 Europe will need an additional 120 billion cubic meters (bcm) of imported gas by 2035. Russia’s gas exports to Europe rose 8.1% last year to a record level of 193.9 billion cubic meters (bcm), despite growing competition. More than 670 companies from 23 countries are involved in the project. As a result of these investments, Germany alone will benefit economically to the tune of over two billion euros and 13,000 full-time jobs. This positive effects will be even greater during the construction phase. Things may change as time goes by, but at present LNG is not as economically attractive as piped-in gas, because of the time needed for transportation by sea, regasification, and storage. Europe needs to spend money to construct facilities in order to increase the number of ports able to receive and reprocess the LNG. That’s a lot of time and effort. Europe’s right to make its own decisions is at stake as the ongoing battle over Nord Stream 2 heats up. It has the tools to stand up to America’s pressure. There is no doubt the bill will be pushed through Congress via an expedited process, but it can be fought. A strong European resistance could make US lawmakers think twice before throwing their support behind a bill curtailing the US president’s foreign-policy prerogatives. This is the time for the EU to stand tall and refuse to bow to outright pressure. The choice is between a strong and independent Europe that is able to defend its own interests and independence or a puppet on a string dancing to Washington’s tune.